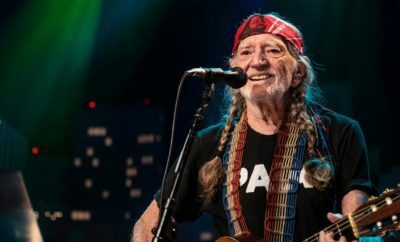 If you’re like a lot of folks, you might be craving a good, old-fashioned-style Christmas experience. 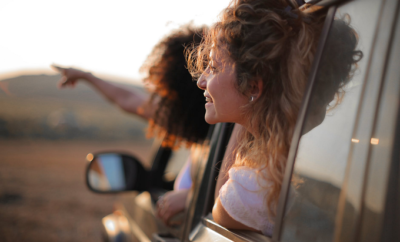 This time of the year, families yearn for an unplugged yet fun holiday outing that will lend itself to warm reminiscing for years to come. 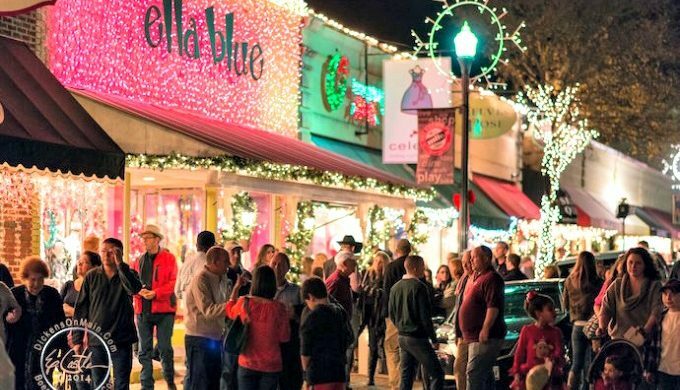 If this sounds good to you, a visit to Boerne’s Dickens on Main, which is one of the Hill Country’s biggest and most popular events, might be just what your family is looking for to kick off the holiday season. 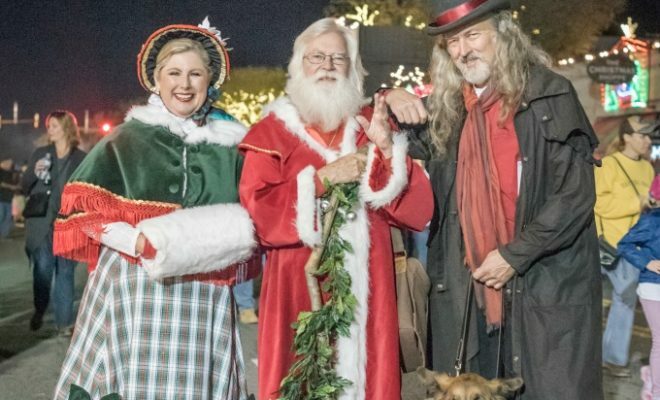 Held along Boerne’s delightful Main Street (known as the “Hill Country Mile”), Dickens on Main is celebrating its 19th year of delivering a vintage Christmas experience to the Texas Hill Country. Bundle up for a horse-drawn carriage ride and prepare to be enchanted by the Christmas tree lighting. 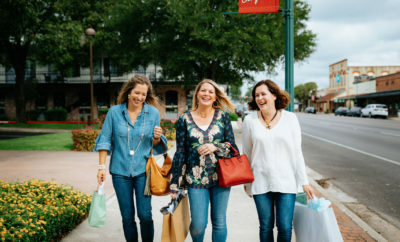 You can also start your holiday shopping with a bang by visiting the Hill Country Mile’s collection of unique boutiques that offer items sure to please everyone on your list this year. This year, Dickens on Main will feature six different villages providing hours of entertainment for all ages. Of course, no visit to Dickens on Main is complete without a visit to the big man himself, Santa Claus, who will be at the event with bells on! 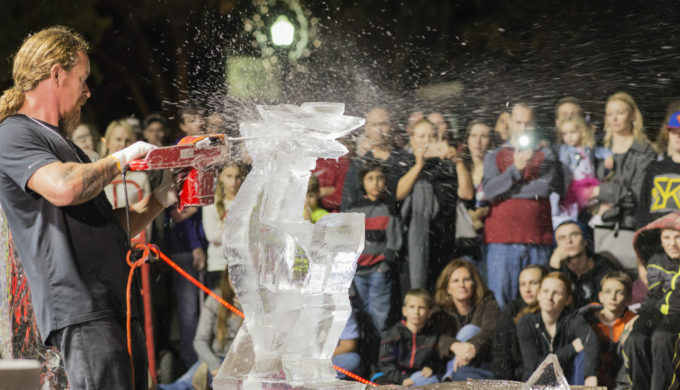 Everyone will marvel at the fascinating ice sculpture battles, set to heart-thumping rock music, and “Bah Humbug,” an unforgettable one-man performance of A Christmas Carol. Have a Scrooge in your party? Well, send them to the newest addition to Dickens on Main–“Scrooge Village,” which extends the event this year down E. San Antonio Avenue. 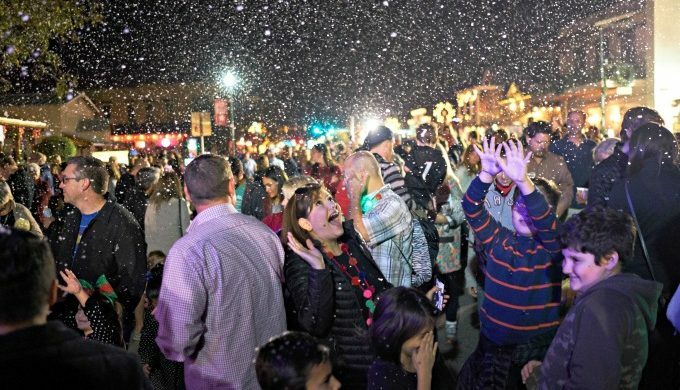 In addition to the usual snow that folks have come to expect adorning Main Street during this event, your south Texas kids will squeal with joy at the prospect of playing in freshly blown snow at the Snowy Village, located in Scrooge Village. At Scrooge Village, visitors will be able to play on a 60-foot ice slide, participate in fun and festive crafts, as well as love on animals at the petting zoo. There will also be a live longhorn ready for all of your Hill Country Christmas photo opportunities, as well as beloved costumed characters like Frosty and even Rudolph!